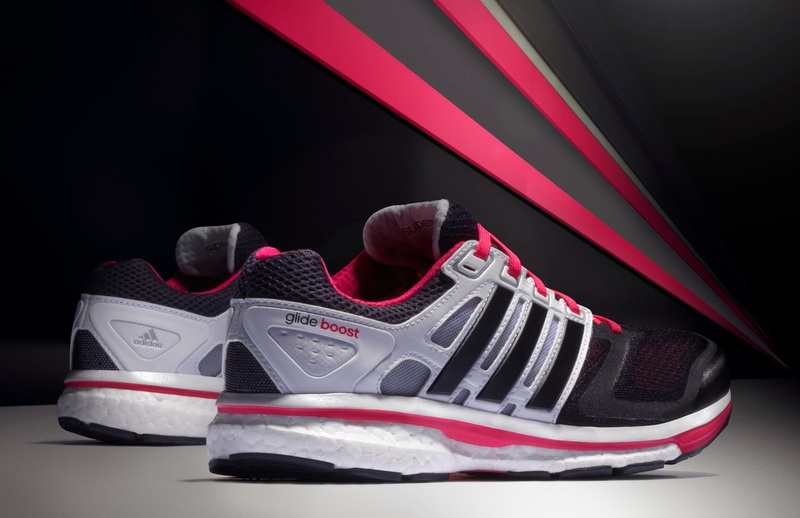 Herzogenaurach, Germany (December 2013) – adidas has launched the Supernova Glide BOOST™, a combination of the precision crafted Supernova system and the revolutionary energy return of BOOST™ technology. Launched earlier this year, BOOST™ provides a higher energy return than any other foam cushioning material in the running industry. The Supernova Glide has endured as one of adidas’ most successful technical running shoes, highlighted by adidas’ Torsion System, a Continental rubber outsole and an engineered mesh upper. With the addition of adidas’ BOOST™ superior cushioning, the latest edition of Supernova Glide is built to provide runners with the ultimate experience. The engineered mesh upper ensures movement feels natural and provides support where needed. A full-length stability Torsion System allows the runners’ heel and forefoot to move naturally while the mid-foot remains flexible and stable. Ultimate grip for better traction in all weather conditions is provided by a high performance Continental™ rubber outsole. The Supernova Glide BOOST™ 6 is available for purchase at leading adidas Sport Performance and Runnr Stores in the Philippines with a recommended retail price of PHP 5995.